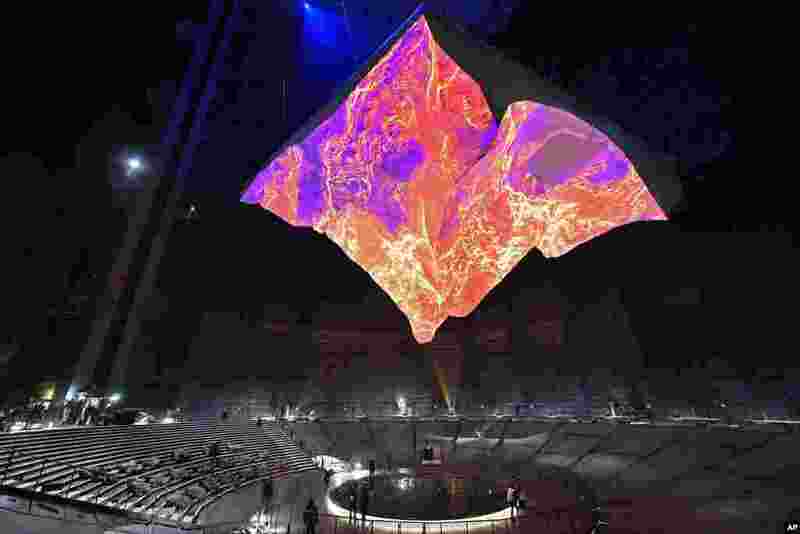 ١ Visitors watch the upside down hanging sculpture of the Matterhorn mountain at the exhibition "The Call of the Mountains" in the Gasometer in Oberhausen, Germany. 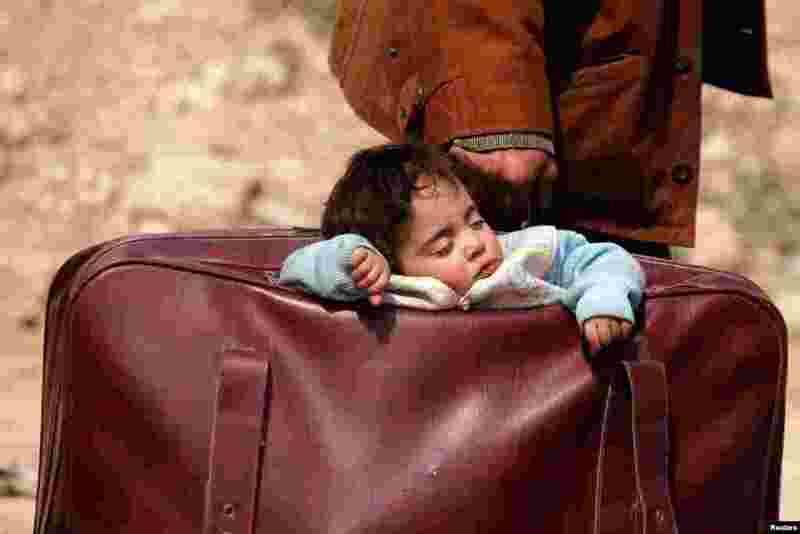 ٢ A child sleeps in a bag in the village of Beit Sawa, eastern Ghouta, Syria. 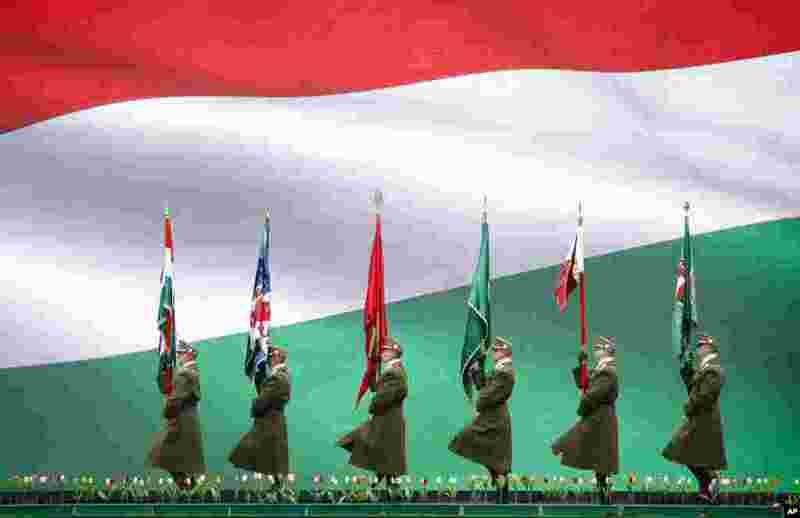 ٣ Hungarian soldiers march in Budapest, during a ceremony celebrating the country's national holiday. 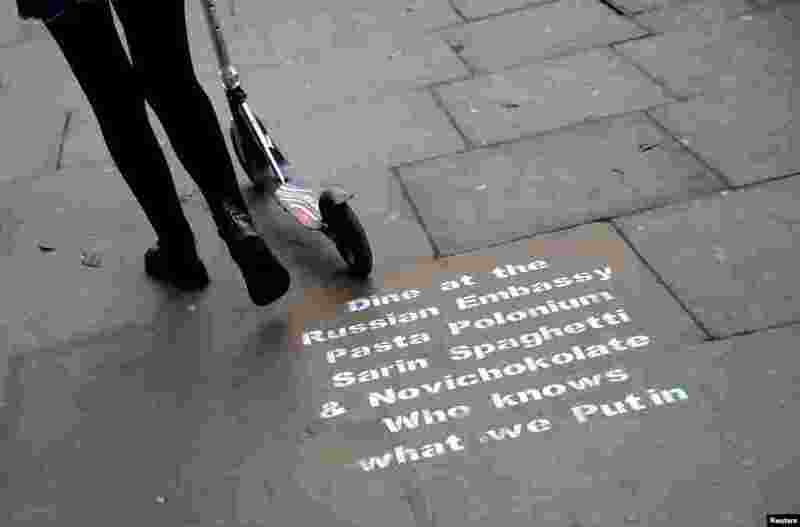 ٤ Graffiti sprayed on the pavement near the entrance to the Russian embassy and ambassador's residence in London.